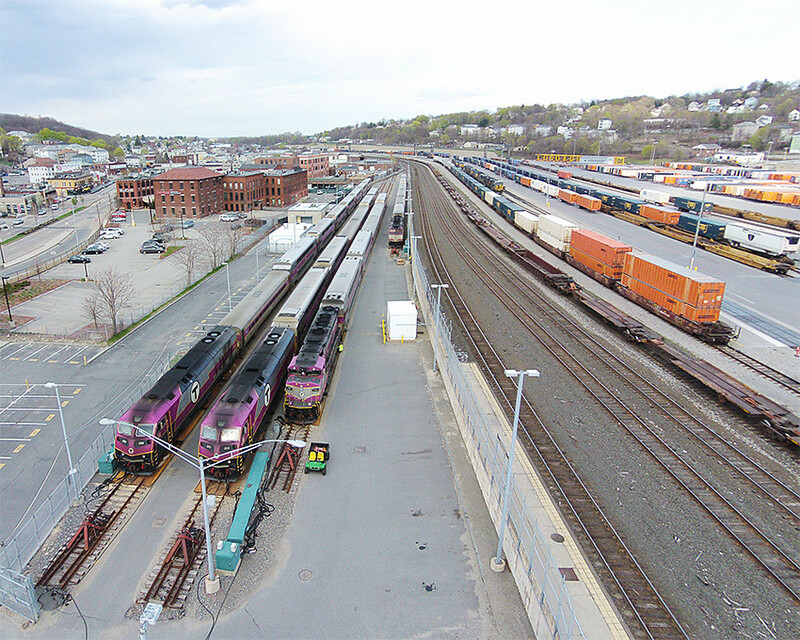 On a nice 77 degree Sunday with no rail action to be found from Ayer to East Deerfield, to West Springfield to Worcester, "Sky Rails 2" decides to grab an aerial shot of MBTA's layover yard in Worcester from 75.1 feet up. Notice how dirty those new MBTA units on the left are, good thing the wipers and washers work on them. Photographed by Ken Houghton, May 3, 2015. Added to the photo archive by Ken Houghton, May 3, 2015.